You are invited to attend NARIP’s brunch on Saturday, July 13th, 2013 sponsored by 80/20 Records @ Co-Hoots in Arizona. We’re doing it again! Join us, come meet and greet Phoenix-area record and music industry professionals. Please RSVP and register online by Friday July 12th at 5:00 p.m. You are welcome to attend at the last minute as a walk-up, but we appreciate advance registration for crowd-planning purposes! Please register online by Friday July 12th at 5:00 p.m. so we can prepare enough refreshments for everyone. To register now, just scroll down. Admission includes 1 beverage and 1 food item per attendee. We encourage you to register in advance online now (just scroll down). Otherwise, cash only at the door on Event Day please. Price includes 1 beverage, 1 food item and event admission. There is parking directly behind the building and across 11th st in the parking lot and can park on 11th st as well. It’s also walking distance from a Light Rail Station. 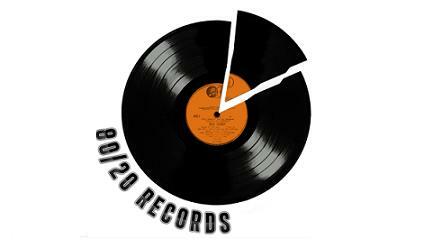 Special thanks to Michael Zimmerlich 80/20 Records for hosting this brunch.